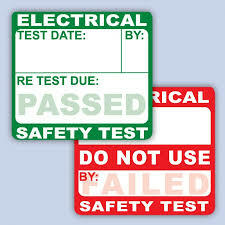 Once we have carried out the testing, we provide you with a certificate from our base situated in Bunclody Co.Wexford Ireland, at the Wexford, Carlow and Wicklow borders. DRE Ltd offers a testing & certification service that we pride ourselves in. We are aware of the difficult trading circumstances that the economy is going through at the present time & we offer a very competitive service to meet our customer’s needs. We can offer a 24/7 nationwide call out service if required. Same day documentation can be provided.